One of the things I love the most is when I can combine learning and movement. 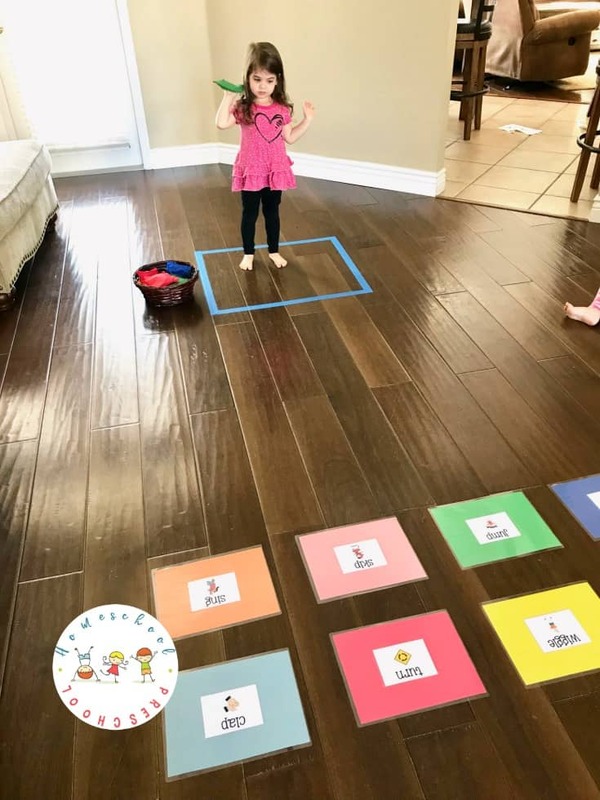 My girls are always on the go and that’s why this “Action Words” Bean Bag Toss Game is totally perfect for them. 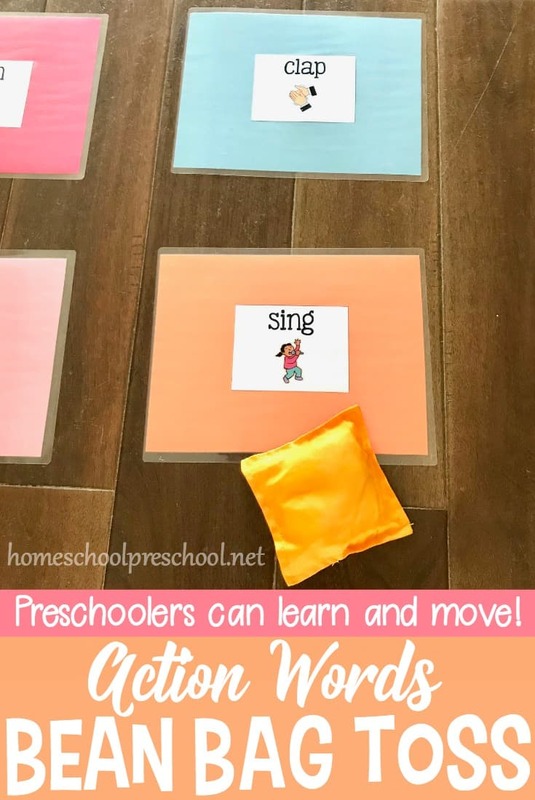 This game is a great way to help children learn action words (verbs) and practice using their gross motor skills. 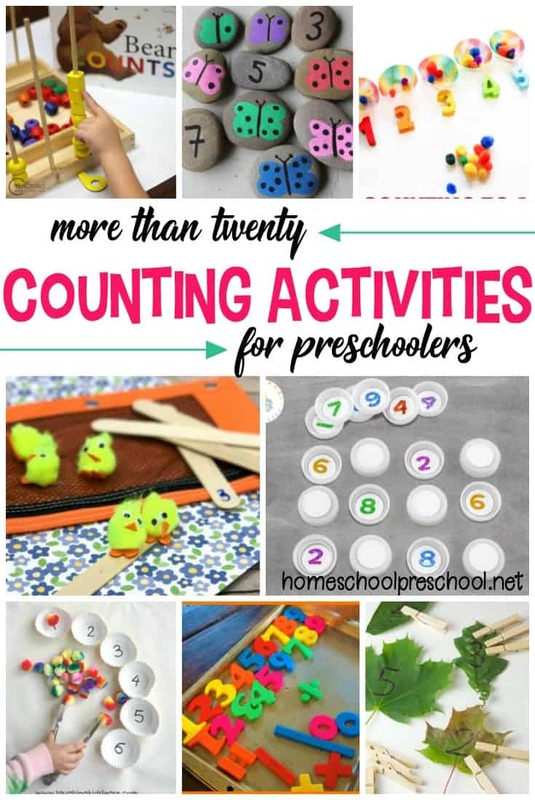 It’s a fun game for toddlers, preschool, pre-k, and kindergarten age kids. Before your kids can play this game, you’ll need to get a few things ready. 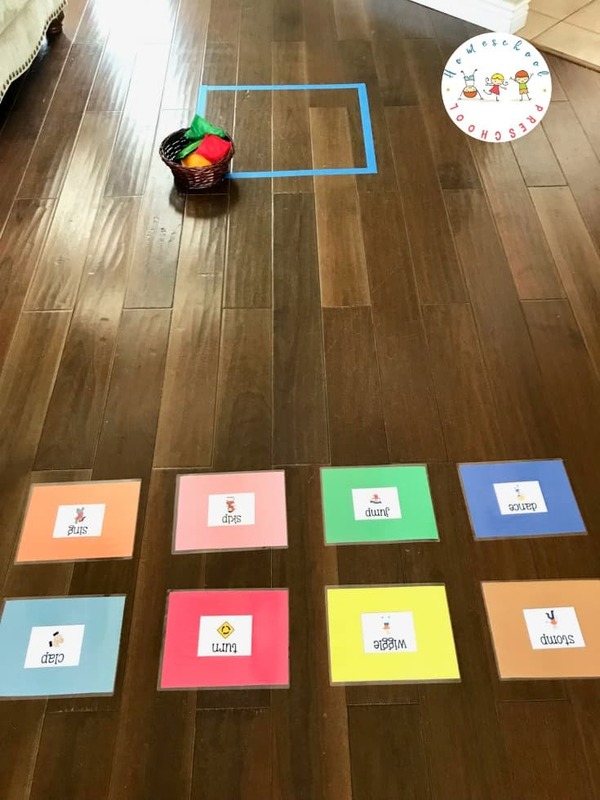 The first thing you’re going to do is print the Action Word Bean Bag Toss Printable, and glue one action word to a piece of colored construction paper. Once that’s dry you can laminate them. This will keep them nicer and you’ll be able to play the game over and over again. Then take the colored tape, and make a square on the floor big enough for your child/children to stand in. Then standing in the square take about 3 to 4 big steps and use the colored tape to tape down the action word cards. Get the bean bags and put them by the square you made with the colored tape. The first thing I did when we were ready to play the game was go over all the action word cards with my daughter. We read them and practiced the actions. Then I had her stand in the colored taped square and told her she had to get a bean bag. Once she did that she could toss the bean bag. The goal is to have it land on one of the action word cards. She had to toss it a few times before it landed on a card. Once the bean bag landed on a card, she had to do that action. We continued to play the game until she got to do all the action words! I know I say this about almost all the activities we do, but she really loved this one! She was so excited to toss the bean bag, and even more excited to do the action. She was just giggling and laughing. It was totally awesome! It did take her a little bit to get the hang of tossing the bean bag but once she did the game was on! Extending this activity is so easy! 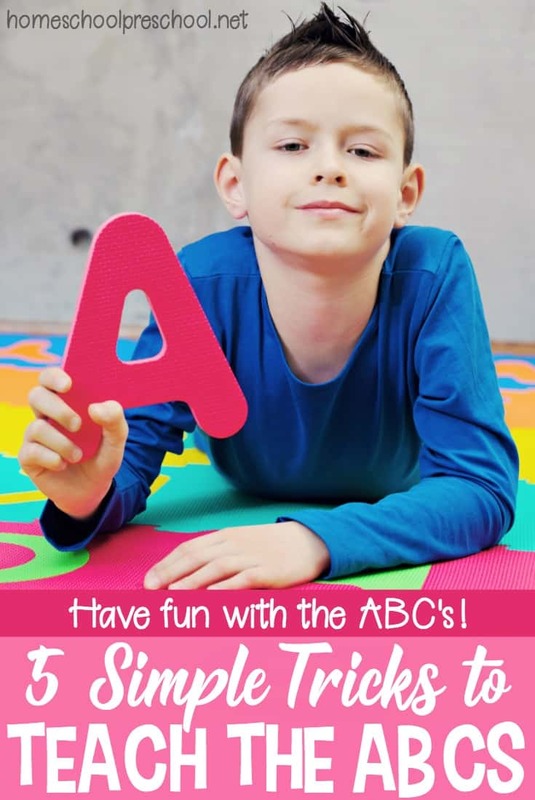 You could use this activity to learn letters. 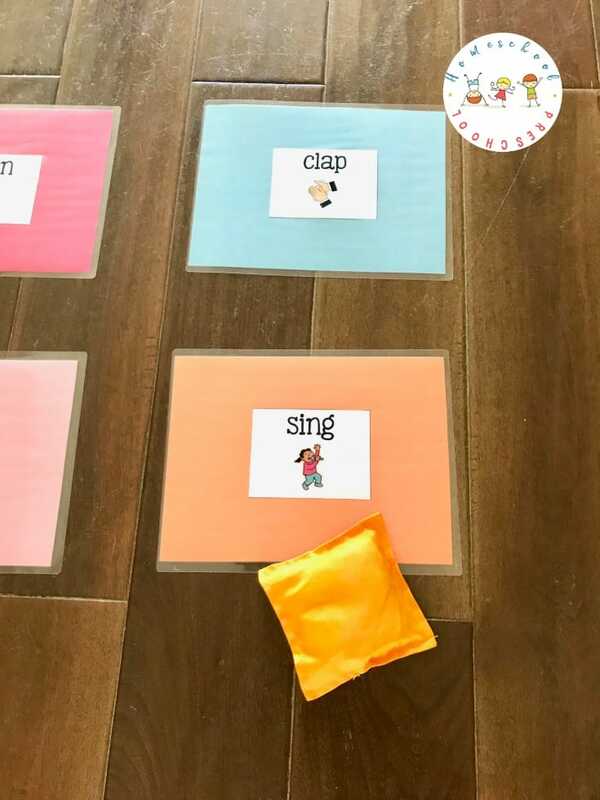 You could use this activity to learn sight words. 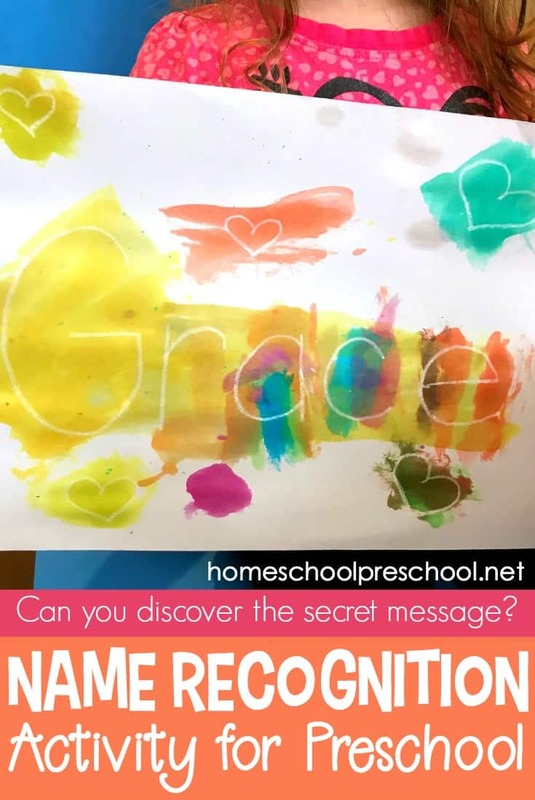 You could use this activity to learn color words. 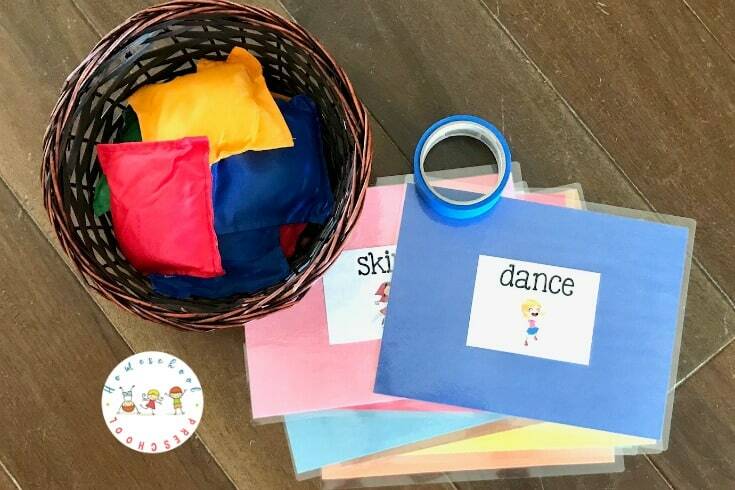 You could use this activity to learn shapes. This game was totally amazing! We had so much fun learning and doing action words (verbs). You have to try this action words bean bag toss game with your kids. They are going to love it so much!